Jonathan Primack and I are INTEGRATION NATION BODYWORK, where we offer textbooks, workshops and support for the massage and manual therapy community. Visit our website at www.integrationnationbodywork.com for more information about our books, workshop and schedule. 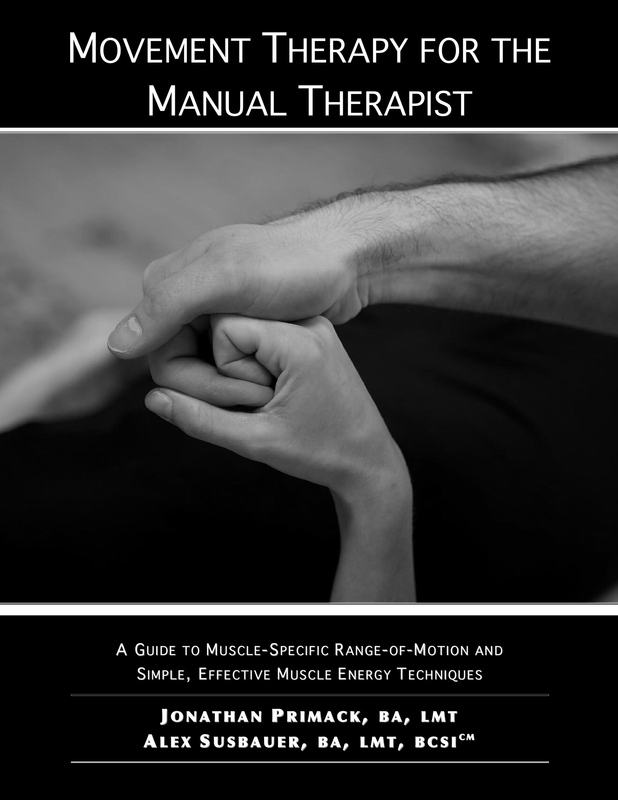 Movement Therapy for the Manual Therapist bridges the gap between movement and manual therapy--an encyclopedia of stretches, exercises and post-isometric relaxation sequences for the major muscles of the human body as applied by the manual therapist. A must for students of massage and bodywork and a great reference tool to bring more movement-based techniques into a massage or bodywork session. Whether you are a massage therapist, a chiropractor, a physical therapist or a structural bodyworker, you should take a moment and check out this head to toe bodywork manual that intertwines the science and art of manual therapy. Integrative Bodywork for the Manual Therapist is a versatile two volume set of textbooks filled with effective techniques that are supported by beautifully rendered black and white photographs and anatomical drawings...these are must-have books for anyone who is working in the field of manual therapy. With over 20 years as practicing bodyworkers and educators the authors have brought their significant contribution to you in order to help make a difference for you, for your clients, and for the entire field of manual therapy. Integrative Bodywork: Holistically Focused… Anatomically Specific.